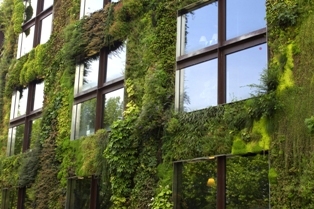 New rules will soon apply to the energy performance of buildings throughout Europe. In May the European Parliament adopted the recast of the Energy Performance of Buildings Directive. CEPI and its member associations will closely follow its proper implementation throughout the EU. It is important that the means of its implementation promotes the use of energy performance certificates, the need to train professionals in energy efficient techniques and the putting in place of adequate finance schemes. The recast of the Directive has been the cause of much discussion and many changes were made to the final version by the European Parliament from the original draft presented by the Commission. Overall it will strengthen the regulations on energy efficiency of buildings. Specifically the recast provides that all buildings built after 31 December 2020 must have high energy-saving standards (nearly zero energy) and be powered to a large extent by renewable energy. Existing buildings will have to improve their energy performance after major renovation if feasible. Energy performance certificates will be required for any building constructed sold or rented and the certificates will have to provide recommendations for improvement. They may also include additional information as to the annual energy consumption and percentage of renewable energy. The energy performance indicator will have to be published in all commercial advertisements for property. Member States will have to state clearly what financial measures they have adopted and there will also be financial penalties for non-compliance. It is important to renovate the existing building stock which will mean putting in place adequate funding. Better use must also be made of energy performance certificates in encouraging energy efficient renovation. Most importantly property professionals must be properly trained and qualified to deal with the challenges of the new legislation. Member States have until the end of 2012 to transpose the Directive into national legislation.